Where are your residential and commercial salespeople, selling technicians, and phone selling/call center employees receiving instruction and coaching on critical topics like Goal Setting … Buyer Temperaments … Off-season Appointment Setting … Likeability … Over-Talking Prospects … Active Listening … Avoiding Weasel Words … Prospect Apathy …, etc.? When I put all this together in 2012, I called it a BOOK (Sell is NOT a Four Letter Word, to help salespeople improve their performance. You will probably call it sales training lesson plans. 116 concise topics, 274 total pages (2½ pages per topic avg. ), relevant, common sense, understandable plain English. This is the salesperson piece. For you, the manager, I developed a Leader Guide, with one page of open questions for each of the 116 topics in the book, in an old-school 3-ring binder. These questions will form the backbone of your 30 minute sales meeting and help guide a discussion of each topic (with virtually zero preparation), guaranteeing participation and involvement of your team members rather than becoming a “lecture” by you. At the end of each lesson is a Skill Check, an activity for your folks to do to “show what they know” cuz it’s not training unless the participants do it! Wondering what the Leader Guide looks like? Here’s a screenshot of the Table of Contents for Chapter 1. Click on the image to view the FULL Table of Contents. I invite you to subscribe to my weekly newsletter, Selling Point which is my gift to you. With it, you will also receive a BONUS consisting of a 1 hour audio address, recorded when I spoke to a live statewide blue collar franchise group on Improving Your Communication Skills. Your subscription also includes access to my vault of past Selling Point issues, dating back to 2013. You will absolutely be able to use and apply many of these sales, customer service, and sales management communications hatched by my Lenovo keyboard. 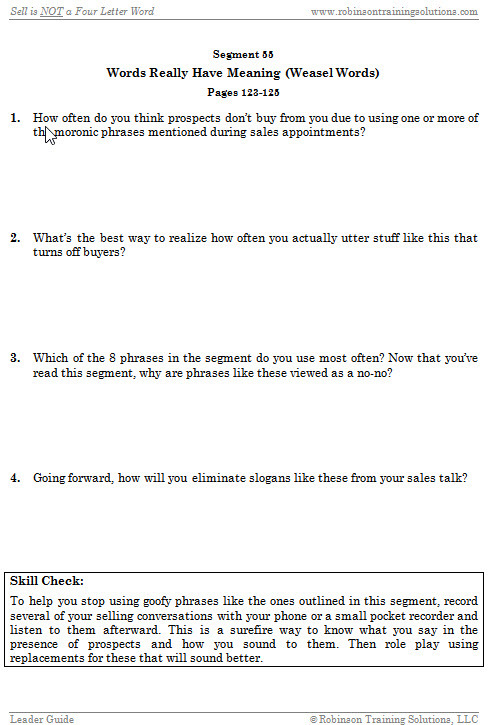 Using corresponding topic in Leader Guide, conduct sales meeting by asking questions provided in order to generate discussion. Customize with specific examples from your business. With 116 topics, even if you have sales meetings every week, this material provides you fresh topics for over 2 years! As an example, if you have 6 salespeople, your investment would be $165 to own and use these materials at your company. That’s a “what have you got to lose offer,” backed by a MBG! You won’t find anything close to what I’m offering at these prices. No more scratching your head searching for a relevant topic or materials to train with to improve poor performance. The Skill Focus column in the LG Table of Contents will highlight their need and identify the lesson that will address it. BOOM! Just follow the “Yellow Brick Road” by asking the questions provided for you on that page of the Leader Guide. 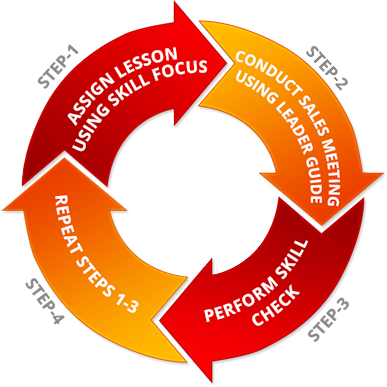 The face-to-face skills I discuss are rarely emphasized in sales training programs, but based on my 45 years in the selling universe I know how critical it is for salespeople to be proficient with these basic skill sets. 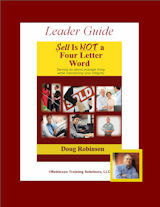 A quick look at the Contents of Sell is NOT a Four Letter Word will confirm to you my beliefs. What types of companies are using these materials for sales training? Pest control, HVAC, Quick oil change/lube, Security systems & alarms, Information Technology, Environmental services. Is this training material really as relevant as you say? Can this approach possibly be as user-friendly as you advertise? Does anybody you know use the Leader Guide any differently than you laid it out? As a matter of fact; yes. For variety sake, I recommend occasionally providing the questions up front when assigning the lesson, especially when covering topics that might require some thought before answering. Additionally I like “peer learning.” Providing the questions in advance gives the manager an opportunity to assign specific questions to specific reps who you know will have a lot to add due to experience and success level. Still not quite sure this is for you? Watch the short video below. "I really enjoy listening and soaking up all your advice on our Monday coaching video chats." 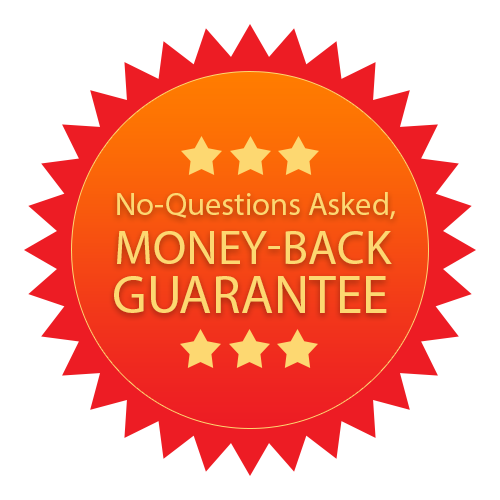 Thomas Argo – Paducah, Ky.
"The coaching sessions you provide are very informative, educational, and always applicable to real life situations that I face as an Orkin inspector." "Doug Robinson's coaching sessions have helped me tremendously in my sales career and his training sessions are interactive and challenging. 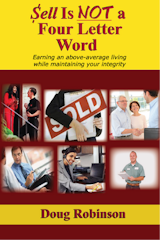 His book is easy reading with great concepts and I highly recommend it." Hunter Connor - Vidalia, Ga.
"The training received this year has really helped me overall...not just in sales but communication and management in general. Honestly these lessons are good life skills." Paul Tomlinson – Poplar Bluff, Mo.